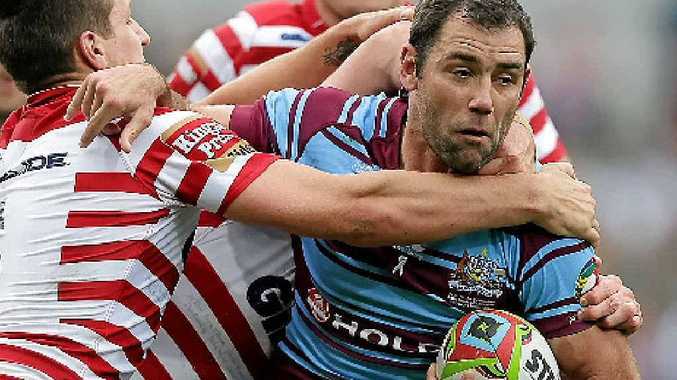 AUSTRALIAN captain Cameron Smith has laid down the law to his players, warning them to bring their A-grade game or face the dire consequences against a Samoan side with nothing to lose in their Four Nations showdown in Wollongong on Sunday. A month ago this game was pencilled in as a dead rubber, with Australia expected to have already qualified for the final. But that is far from the case, with both games this weekend (New Zealand is also playing England) having a bearing on who will face off in the final. Smith has not been happy with the effort of his players in games against New Zealand when they lost by 18 points, and England when they scored a controversial 16-12 win. The skipper has called for better ball control, more committed defence and less unforced turnovers. There are a number of possible scenarios for the final, which could see any of the four teams in the final - including Samoa, which was a $256 shot at one stage. Australia needs to beat Samoa by 30 points to make the other results irrelevant, but Samoa has been the surprise packet and will take it to the Kangaroos in a bid to register the biggest upset in their nation's sporting history.